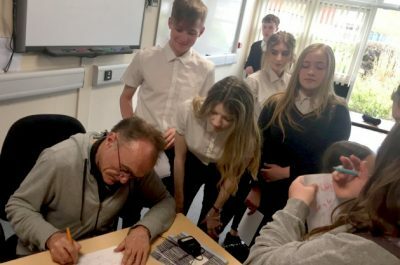 Ormiston Denes Academy has hit the spotlight, with some of its students being given the unique chance of starring in a new film by renowned movie-makers Danny Boyle and Richard Curtis. The academy was selected to be one of the settings for the film, which is based around the Beatles. The photograph shows students lining up for autographs from Director Danny Boyle. Posted in Academy news on 18th July 2018.